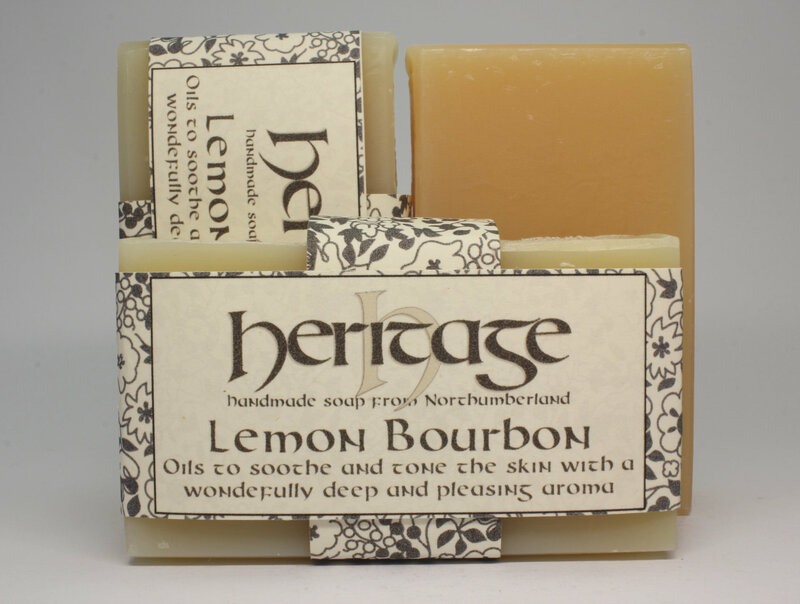 The deep and naturally rounded scent of Geranium bourbon is given a fresh and lemon-like lift with Lemongrass, which has its own subtle woody fragrance. These oils combine to give a pleasing and uplifting aroma that is very popular with both ladies and gents alike. A soothing blend of oils which have a long history of use in indigenous folk remedies due to their abilities to harmonize, relieve and rehabilitate. 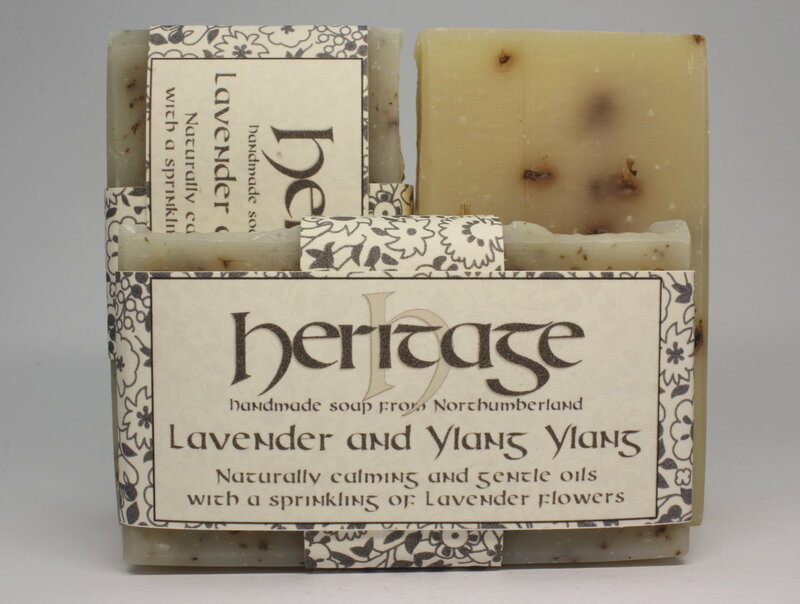 The Lavender will calm you, and your skin. 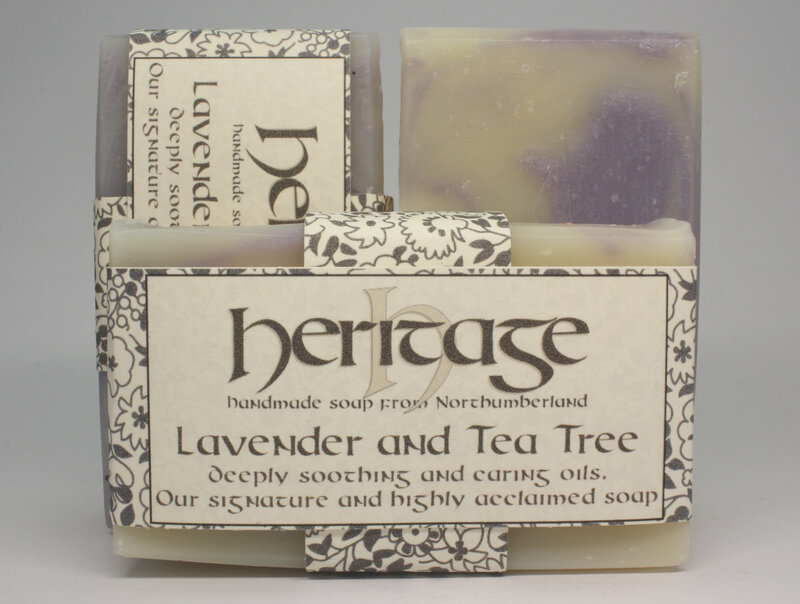 The Tea Tree oil will protect and cleanse, together, they create their own floral aroma, with an earthy undertone. 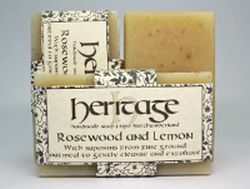 A beautiful soap to use and very popular. 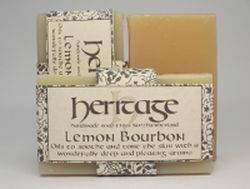 Over the years it has become our signature and very popular soap. 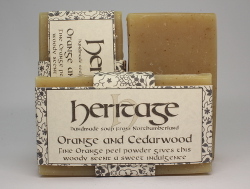 Oatmeal, included in this bar, has been used for over 2000 years in skincare. It contains natural cleansers called saponins that can remove dirt and oil from the pores without causing irritation. 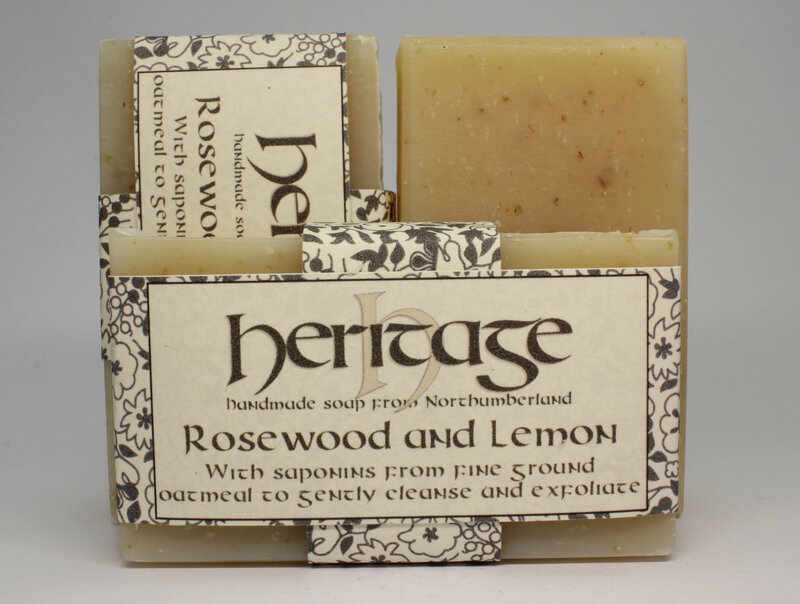 Rosewood oil is said to care for ageing, sensitive or inflamed skins, while Lemon is said to keep it healthy and vibrant while being great at cleansing and refreshing. 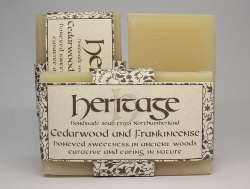 Cedarwood and Frankincense essential oils are both known to calm the mind and steady the hand. They combine to give a sweet and honeyed scent. The aromas naturally make the user want to inhale and the same can be said for anyone else that gets close. A firm and distinct aroma that will give clarity and assurance. 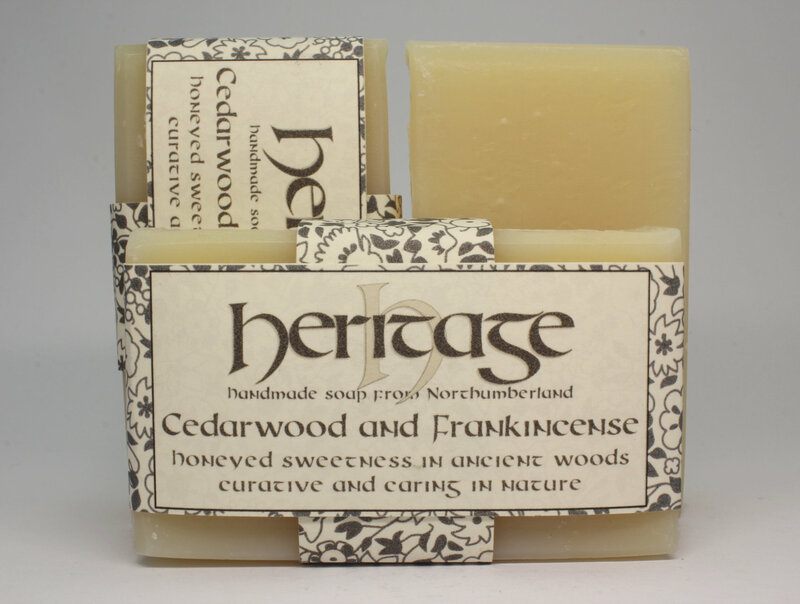 A fresh, yet woody, masculine scent created from a combination of oils whose characteristics have long been held as anti-depressants and stimulants for rude health. 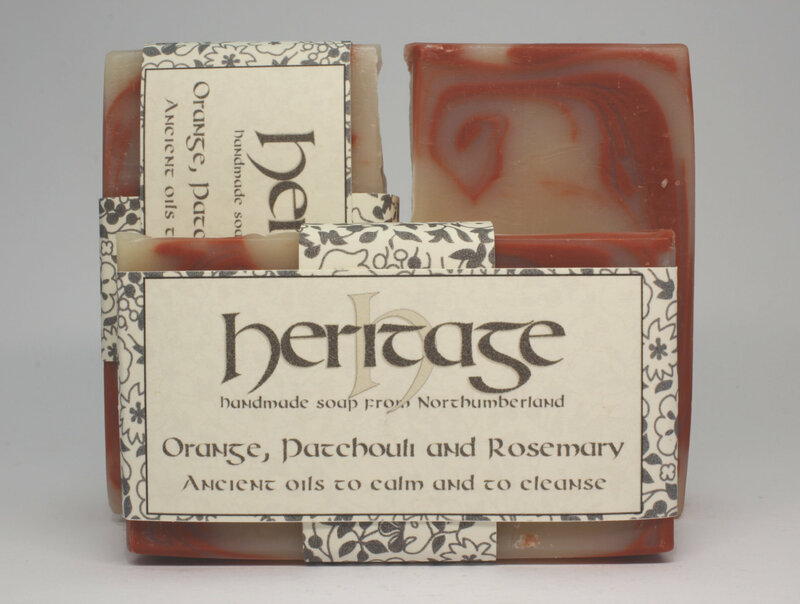 We blend orange, Patchouli and Rosemary to lift your mood and refresh your senses and ensure you are fighting fit. Bitter Orange is very distinctive of the fresh fruit when peeled, we've also used orange peel powder so the aroma is refreshing and uplifting. 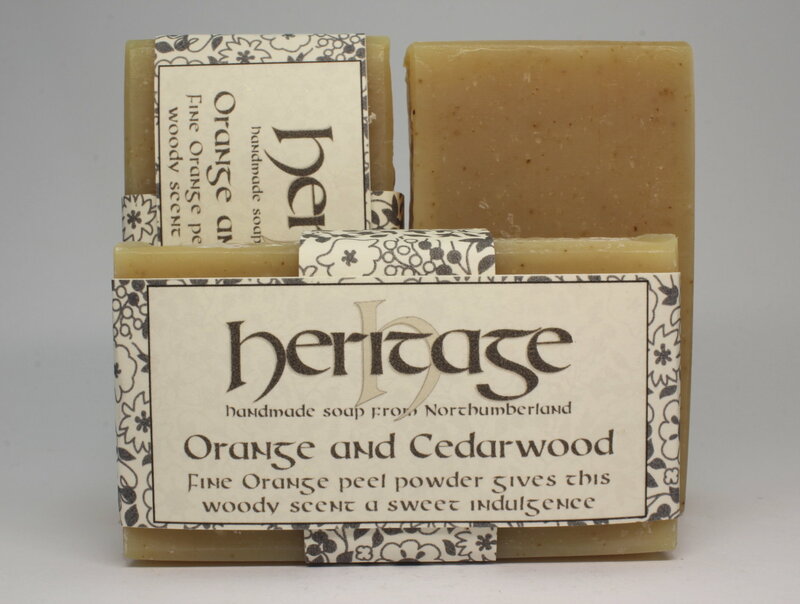 Orange is frequently used to combat insomnia and relieve nervous tension. Combined with Cedarwood essential oil, a warm, sweet aroma that is great for various skin conditions, it also has a woody-balsamic undertone that rounds off the aroma nicely. 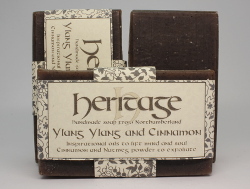 Ylang Ylang's wonderful floral qualities are deepened in this soap by Cinnamon which has anti-fungal, anti-viral, warming and stimulating properties. This is further enhanced by adding Cinnamon powder along with Nutmeg. 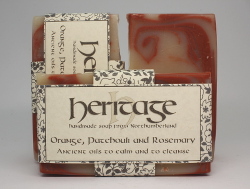 This soap can help to preserve a balanced complexion and is best used on the face at night. 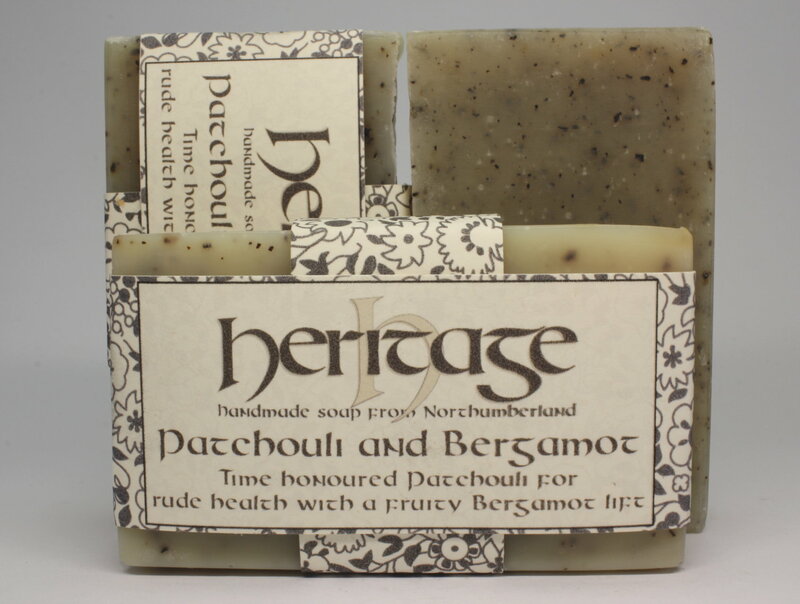 Time honoured favourites Patchouli and Bergamot combine here to give a rounded scent. The bar is further enhanced with a mild exfoliate of Earl Grey tea leaves. Patchouli is said to sooth, regenerate and be antiseptic in its nature, while Bergamot is refreshing, soothing, and uplifting. 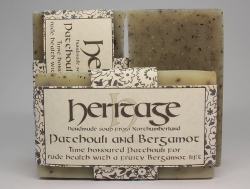 Together they make a refreshing soap that can be used at the basin or in the shower. Two very popular oils when it comes to pleasing the senses. 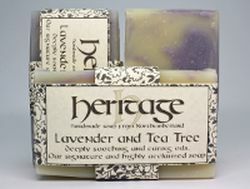 Lavender has been used for centuries. Calming, soothing and healing are all attributes associated with this oil. 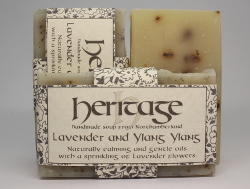 We have used actual Lavender flowers in the soap as well. 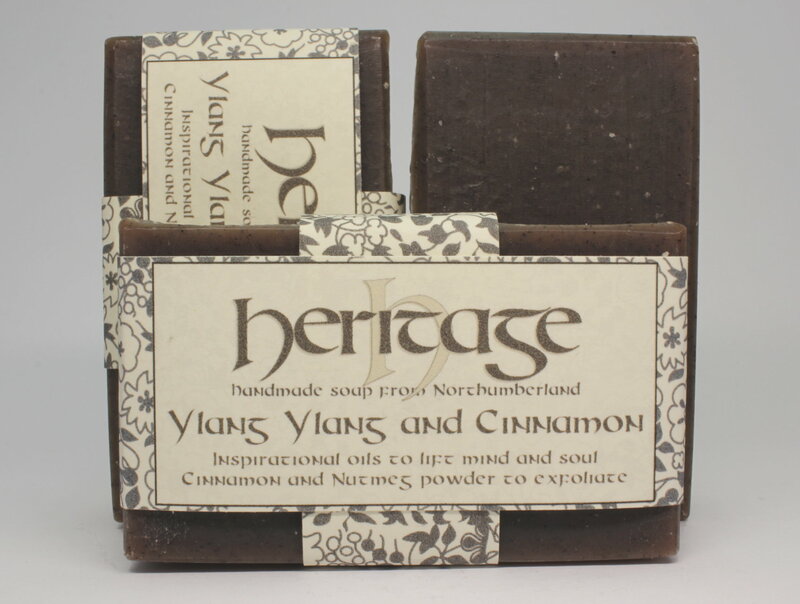 Ylang Ylang is known as the ‘flower of flowers’ and is used frequently in aromatherapy for its uplifting properties, as well as, combating stress and depression.